Marcello Magliocchi is born in Bari ( ITA ) on may 1957, he began his activity in the earlier ’70. Musical explorer, performing and recording in solo and a number of ispired grouping and a variety of genres to include jazz, improvised music, sound installations, live music for silent movies. He performed in Italy and Europe with: Paolo Comentale’s Granteatrino, with Teatro Abeliano, with the dancers S. Holsaert, Cheryl Banks, Norontaco Bagus Kentus, with Maestro T. De Gennaro ( videos, performances, sound sculpture “ RingMantraDan ” ); with Maestro A.Dami, and played sound sculptures by Plensa, Marrocco, Chen Zen. Have played with : Collettivo di Musica Improvvisata, Fonolite ( with M. Volpe he realized post-recordings and sound sculpture Byo-Faccia ), MaMa Quartet, J. Dvorak, C. Actis Dato, V. Curci, P. Minafra, P. Kowald ( Music & Poetry ), Bari Symphonic Orchestra plus R. Ottaviano Quartet ( Invitation ), The Hard Thalk Italian Tour with Mal Waldron, P. Leveratto, Koinè, M. Godard, T. Warner, G. Lenoci, S. Bonafede, Tactus Ensemble, MATO Quartet, K. Otha, Y. Tachibana, Meridiana Multijazz Orchestra, Canto General, Sextant, Drums in Motion, Open Orchestra & J. Tchicai, P. Dalla Porta, J. Leandre, E. Parker, R. Bellatalla, A. Salis, G. Gebbia, R. Kenyatta, E. Colombo, C. Fasoli, T. Tracanna, F. Boltro, B. Mover, B. Marini, E. Rava, G. Schiaffini, R. Turner, P. Fresu, S. Lacy, F. Mancinelli, F. D’Andrea, S. Bollani, S. Battaglia, S. Satta, S. Potts, C. Zingaro, A. Ozaka, G. Trovesi, Holysmoke, Kent Carter, R. Malfatti, H. Miller, M. Mattos, J. Castanon, B. Angeloni, S. Papadimitriou, G. Silleou, T. Trevor Briscoe, N. Guazzaloca and many others guest. 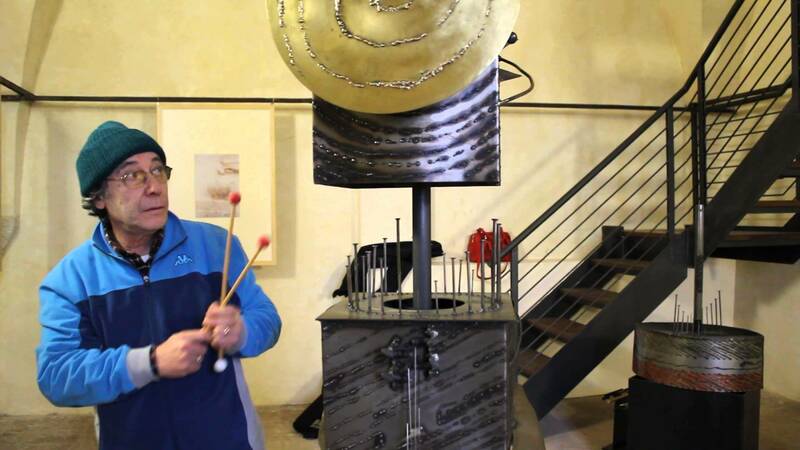 From ’89 to ’06 he taught drums corses at private school, and is teacher at Conservatorio di Musica Piccinni ( Bari – jazz drums level 2, ‘04/’06 ); others collaborations with Maestro G. Lenoci at Conservatorio di Musica di Monopoli. From ’94 to ’98 is artistic supervisor for jazz clubs, for Teatro Jazz Festival ( Lecce ) and for Fonomanie Festival ( Bari ‘02/’04 ), Fonosextant ( Monopoli ‘ 07 ) and at current time for Musiche Monelle. Regordings with : Tactus by ICTUS Rec., C.M.C., Splasc(h), Setola di Maiale, YVP, Afk, ENJA, Soul Note, DAME Ambiances Magnetique, Terre Sommerse, Amirani Rec., Leo Rec. He plays UFIP Cymbals since 1978. Furthermore, in these last years He started with UFIP Factory experimenting new kind of “ resonant Objects “ ( I.e. : RingMantraDan bells and Spynning Cymbals ).